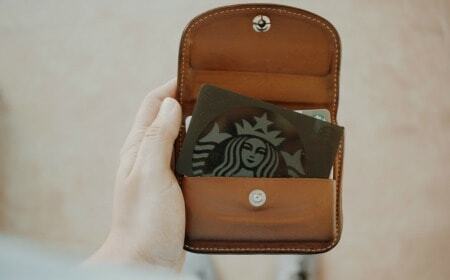 It would be nice to go through your budget and be able effortlessly to slash your expenses enough to put a thousand dollars a month towards paying off debt — but let’s face it that is probably not going to happen. 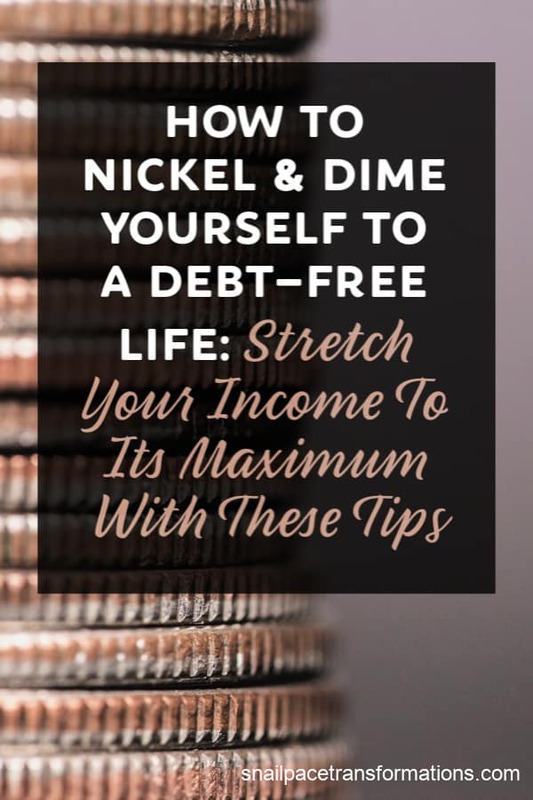 However, by making a few small changes in how you spend your money and time you can stretch your income to its maximum and nickel and dime yourself to a debt-free life. This first step is going to be painful, but you need to cut more entertainment bills than just your cable bill if you have a smaller income and want to pay off debt. Say goodbye to Netflix, Hulu, Spotify Premium, Sirius Radio and whatever else you pay a subscription fee for. Say goodbye to the box of the month clubs and magazine subscriptions (why are you paying for those when you can get them for free?). Yes, a lot of these types of plans are under $20 a month and many are under $10 or even $5, but here is the thing: $5 here and there each month adds up quickly. And in the long run, having your consumer debt gone is going to feel much more satisfying than a thousand weekend Netflix binges. If you must keep one steaming service, keep Amazon Prime. Its membership gives you music, videos and tv shows, Prime reading library with books and magazines you can download, and more perks to make it a good all-in-one subscription that should give you all the paid entertainment you need. 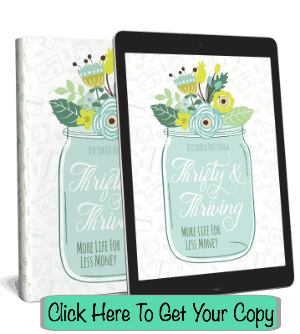 If you don’t have it already, it comes with a 30-day free trial that you can use to see if you will like it–and I am pretty sure you will. As for the gym membership–that’s controversial as far as this yoga, running, biking woman is concerned. Does it act as a social outlet for you? Keep it. Do you use more than one piece of equipment? Keep it. Are you a swimmer? Keep it. However, see if you can find a way to cut the cost of your membership. Could you and your gym buddy get the same workout at the cheaper gym? Could you volunteer at the gym in trade for membership? If you only use the elliptical and never talk to a soul then grab one off Facebook Market place and cancel the membership. Oh, and Amazon Prime Video area has exercise videos–one more perk of being an Amazon Prime member. Honey–applies coupon codes to your orders (it saved me almost $10 on a single $60 online order just last week) Sign up for Honey here. Ebates–offers a cash back for a wide variety of online stores. Sign up for Ebates here. MrRebates–this cash back company doesn’t get as much exposure as I think it should. They offer excellent cash back rates. Sign up for MrRebates here. Swagbucks–Offers cash backs, but I use it mostly because it alerts you of current Swag codes that are worth SB points. These codes (along with the other simple ways to earn gifts with Swagbucks) add up, allowing me to receive several gift cards a month. Sign up for Swagbucks here. Below are listed apps that will pay you to upload your receipt into their apps. What they pay isn’t much, but over time little streams of income added to other little streams of income can create a river that can be useful in helping you pay off your debt. Here are nine apps that will pay you to take a few seconds to upload your receipts. Fetch Rewards: Go here to sign up for Fetch Rewards: Use my referral code RE9FU at sign-up and receive bonus points when you complete your first receipt. Ibotta: Go here to sign up for Ibotta and then download the app. Shopkick: Go here to sign up for Shopkick if you have an iPhone. Go here to sign up for Shopkick if you have an Android-based phone. Swagbucks Answer App: Go here to sign up for Swagbucks and then download the Swagbucks answer app. BerryCart: Go here to sign up for BerryCart and then download the app. Receipt Hog: Go here to sign up for Receipt Hog. Use the code YECT1667 during sign-up to earn free spins. SavingStar: Go here to sign up for SavingStar. CoinOut: Go here to sign up for CoinOut and then download the app. Makeena: Go here to sign-up for Makeena and use my referral code TWNAVD during sign up to earn 1000 points (equals $1) once you upload your first receipt. I have made over $500 in the past three months just by reselling items we are no longer using. I spend one to two hours every Sunday afternoon listing items on eBay and then a bit of time here and there throughout the week wrapping and shipping the items that sell. It is a super simple side job that can fit into just about anyone’s schedule. If you try it and like it, keep it up by re-investing half your profits into buying discounted items at yard sales, etc., and reselling them. Throw the other half of your earnings on your debts. If you own less, you tend to spend less. You spend less on repairs and maintenance and less money buying new things. Plus you gain time you can use to make money by not having to repair and maintain so many things. Confession: Although I used to do this when we were on a tighter budget, I no longer do. Why? Because my husband will clean with commercially made cleaners, but he won’t with homemade. He claims they don’t smell as good or work as well, but I promise it is all in his head as I have found this not to be true at all. But at least he cleans! And buying commercially made cleaners is worth it if I don’t have to do as much house cleaning. I can use that time to work on my side jobs. However, if it weren’t for my husband, I would still make DIY cleaners to save money–they work and smell just fine. Plus they save you a lot of money. We do still use this method to save money on soap, and we do still use a half and half mix of vinegar and water to clean our laminate floors –even the hubby agrees it leaves fewer streaks than the commercially made stuff. Here is a Pinterest board filled with homemade cleaning recipes for you to try. So way back in point number one, I cut your streaming selection to the bone! If you follow that tip, you are going to find that you might have fewer TV shows to catch up on. I suggest you fill that time with a side job that involves something that sparks joy within you (yep! I stole Mari Kondo’s catchphrase). 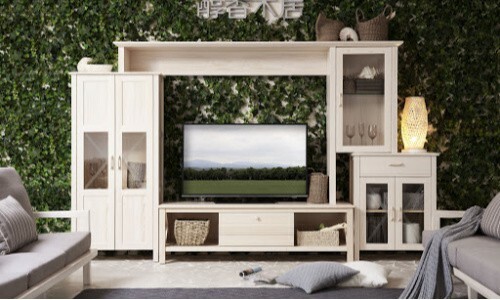 A side job that you love can be just as relaxing as watching TV at the end of the day. You don’t have to cut out every single hour of TV–I watch one hour each weekday and two hours on the weekend. When you are waiting in areas with free Wifi why not work at something that could potentially earn you a little money. Since I am a blogger, I spend these moments editing photos for Instagram posts for my travel blog or going through email. If you are not a blogger and can’t think of something work related to do, then you could open up the Swagbucks apps and do some SB point-earning activities while you wait. With over 20 ways to earn Swagbucks when you combine point-earning activities, you can make at least $25 or more from Swagbucks each month. 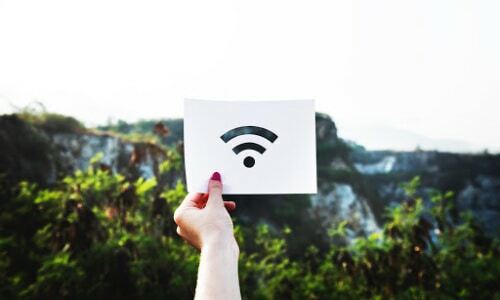 If you are not in a place with free wifi, bring a book or a magazine related to your main job or your side job so that you can turn waiting time into learning time, which could potentially boost your income later down the road. And if you are saying, “But Victoria, you told me to cancel my book of the month club and my magazine subscriptions”–with these ways to get free magazines there are no excuses and with these ways to get free or low-cost books, again–no excuses. You will notice in the point above I mentioned using free wifi and not data. That is because I am going to assume you have already dumped your expensive smartphone service and now have a pay as you go data plan. No? Well, then it is time. Our family has two members using TracFone and three members using Ting. Combined we pay roughly $87 a month for service to FIVE smartphones. That is an average of just under $18 a month per smartphone. We are happy with our smartphone service from both companies, but we LOVE the customer service at Ting. You never spend time talking to an automated service or pressing buttons. You might be put on hold, but not for long and you will always get a very polite and helpful representative–at least that has been my experience. I have called with several “I am old and don’t know how to operate this smartphone” questions and they are always so happy to help me and never once sound frustrated with me. At TracFone we get the same low price as Ting, but their customer service is very lacking–at least that has been our experience. You can go here to check out Ting. If you want to figure out how well the Ting service will work in your area, click the “coverage tab” to see. And if you have any questions call and they will gladly answer them. Use my referral link here when you sign-up and you should get $25 off a device or in credit towards your first bill ( usually, you can bring your phone from another service). And if you are worried about using public wifi, I use Express VPN for my laptop and they offer an app for my phone. It costs just $8.32 a month when you buy 12 months at once or $12.95 monthly. If you add that on top of the $18 a month for the pay as you go service that brings your total monthly cost for your smartphone to $26.32 a month and you can now securely work from your laptop or tablet wherever you want without worries of having your information stolen. You can get 30 days of ExpressVPN service free when you use my referral link here. About three years back our dishwasher broke. At first we were delaying purchasing a new one until we could pay for it in cash. Then we got our water bill and our electric bill and saw a significant drop in both. We kept on assigning the washing of the dishes to the kids and have yet to replace the dishwasher. During the duration of our long RV trip as a family, we unplugged the deep freeze and the fridge. When we got home, we plugged in the refrigerator, but my husband didn’t get around to getting the ice-maker option going again. We also didn’t have enough items to make it worth plugging in the deep freeze yet. This went on for a few months and I noticed that our electric bill wasn’t going up anywhere close to what it was pre-trip. So we started using the sturdy ice-cube trays we already owned and not stashing away as much food (or grocery bill has not been affected by not having a deep freeze). We had a couple of really awkward to reach electrical outlets so I bought these powerstrips with 4-foot cords to make it easier to plug items in. I started turning them off at night, and again I saw a drop in our electrical bill–smaller than reducing the number of appliances we have, but still a monthly saving. This season is my favorite! Okay–so it isn’t one of the classic four seasons, but it is still my favorite. What is it? Yard sale season! Yard sales are the cheapest place to buy just about everything. Saving the most money at them requires a bit of preparation. You need to take the time to write a list of items your family needs including sizes if it is clothing. Think not just of things you need right this minute, but into the future to all the items you will need until next garage sale season starts. This can include school supplies, gift items (I find new with tag items often), clothing, furniture items, camping supplies, small household appliances, and much more. You also have to be disciplined to stick to your list and not buy items you don’t need–with one exception. Here is that exception, if you see an item for sale at a yard sale that could earn a tidy profit on eBay, pick it up. I did this several summers in a row when my children were little, and it paid for their swimming lessons, and family camping trips. I learned this trick when I read Cherrie Lowe’s book Slaying The Debt Dragon. It is simple and effective. Each time you are finished grocery shopping and are about to head towards checkout, look at the contents in your cart and say, “What could I put back?” and then put one item back. Pretty much all of us grab things spontaneously while we shop or have one item on our grocery list we could live without. If you shop at Walmart and your location offers free grocery pick-up, consider using it. Not going into the store at all will reduce the risk of putting extra things in your cart altogether. You do need to place a $30 order to use it. Use my referral link to sign-up for Walmart’s free grocery pick-up and get $10 off your first order of $50 or more. Some programs tell you that you should not see the inside of a restaurant until your debt is paid. However, sometimes life happens and you find yourself stuck somewhere with your three little ones way longer than you planned and you have already let them eat even those questionable items in the bottom of your purse. When situations like these arise, try to stick to one reasonably priced restaurant that offers a good reward program. My personal favorite is Chick-Fil-A. I get a salad, the kids get a combo meal, and everyone is happy–plus their app offers a great reward program. It doesn’t take forever to earn enough points for a cash out, and sometimes they even give out “just because” freebies. One last tip: use these programs to earn gift cards to your favorite restaurants and keep them in your purse for those days. Whenever my husband or I need something that we know we will only use a few times, we hop on Facebook and put out what we call a “shoutout.” These Facebook shoutouts have almost always been successful. We have been able to either borrow the item or purchase it for a fraction of what it would cost us for a new one. This is just one way we save money with our Facebook accounts though you need to read the article to find out the other nine. 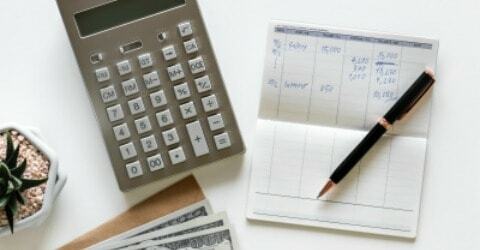 In the book, You Need A Budget the author suggests you do this once a year–but I think if you are still carrying consumer debt, a car loan, or medical debt, you need to do it every three months. What I am talking about it a spending tune-up. 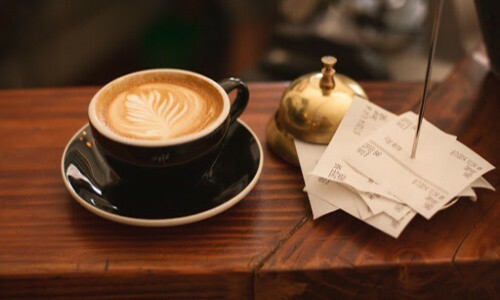 I go into great detail on how to do a spending audit in this post, but essentially you go through every single line of your budget questioning if you need it. Be brutal about what is a need and what is a want–essentials go in the budget first. After essentials put in the minimum debt payments. 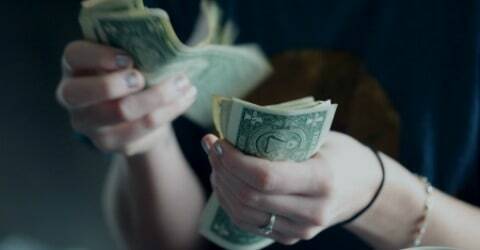 Now comes the fun part, hopefully, you had a bit of money left over–if you are doing all 14 steps above and you still don’t, you need to start earning more money here’s an article to help with that. Now, this is going to sound very contradictory to all three thousand of the words you just read, but I want you to take a small portion of what is left and put back a want or two in your budget. I think a good percentage is 20 percent to want and the other 80 percent to debt repayment. So for every $100 you have leftover after essential living expenses (and remember Netflix and takeout are not crucial) you can put $20 of wants back in the budget and put $80 on debt. You decide what the wants are. If you are working with a partner on the budget and you can’t agree on what to spend your “want” money on give each other half to spend. Once your consumer debt is gone, you can loosen up on this ratio a bit, but I wouldn’t suggest putting all the extras after essential bills towards monthly entertainment, I would set some larger financial goals for it as well. What I would recommend is too long for this article; it needs another blog post so make sure you sign up for my newsletter in the box at the bottom of this article to be alerted to new articles. Eventually I will cover that topic, in the meantime I share money saving and earning tips every month. 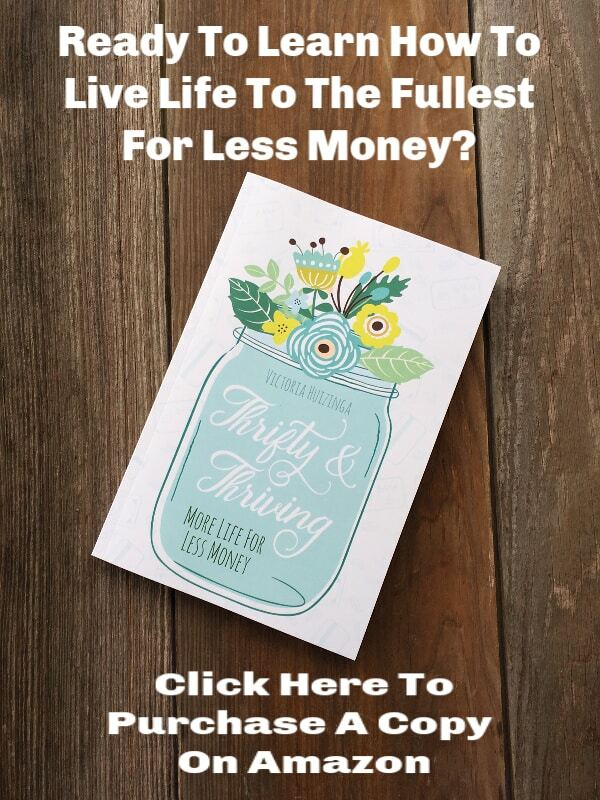 Wanting to save or earn money? 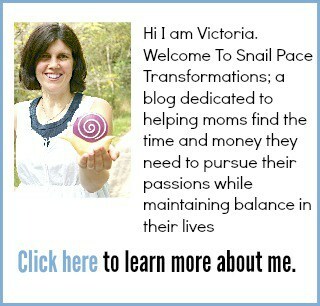 Join my Thrifty People Of Snail Pace Transformations Facebook page where I share tips for doing both.